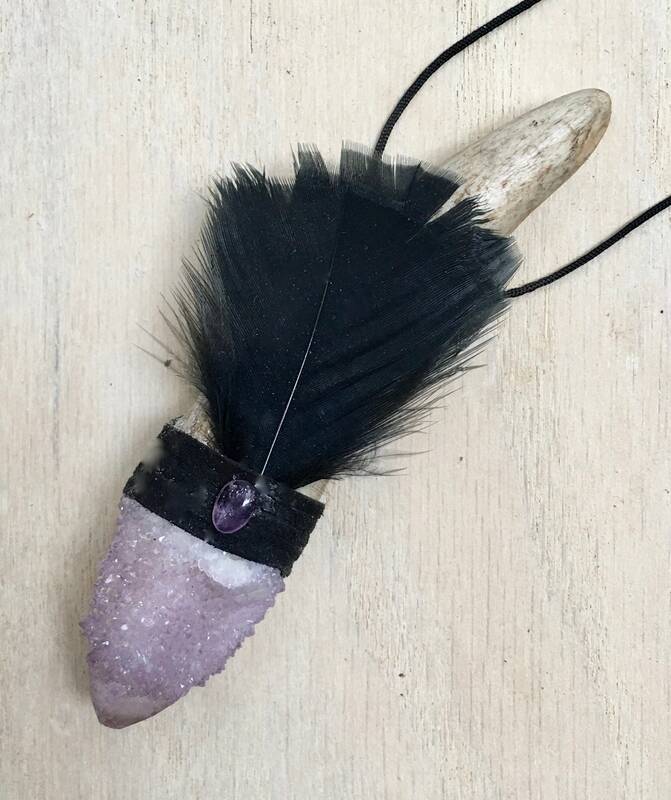 High Vibes - Assists with Raising Your Vibration, Connecting to Higher Realms & Staying Grounded; Empowers Multi-Dimensional Healing, Deep Meditative States & Self-Esteem; Opens & Aligns the Chakras; Encourages Joy, Freedom, Positive Mood, Abundance & Reverence for Earth. 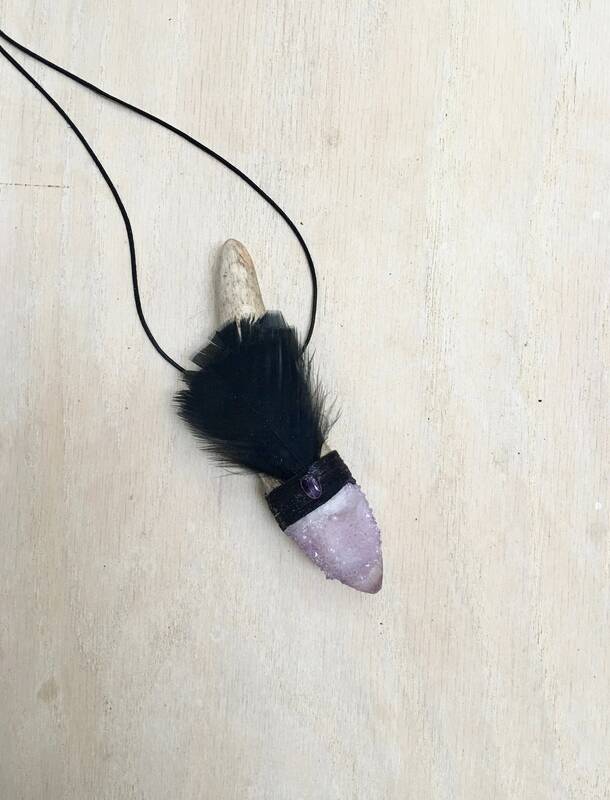 Amethyst Spirit Quartz – activates the crown chakra, bringing in spiritual information and providing multi-dimensional healing. Very cleansing to the aura and can dispel negative attachments and energies and repairs holes in the etheric body. A compassionate stone, facilitating transitions to other states of being. 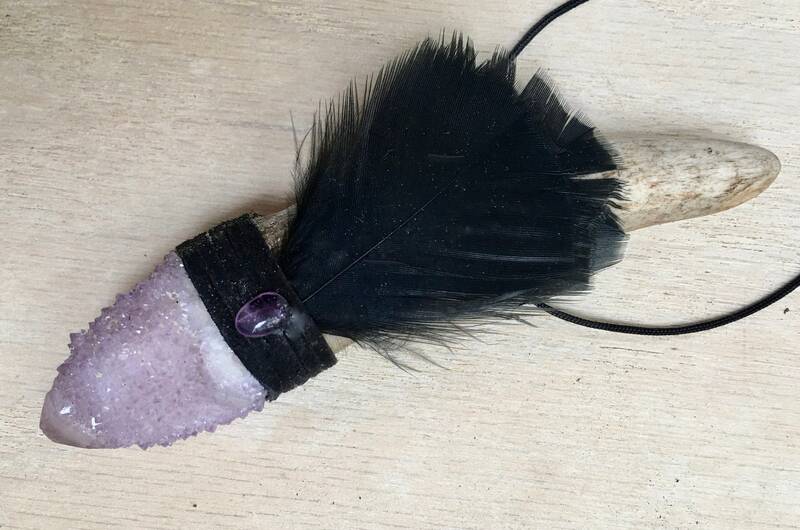 Self esteem and positive mood increase with the aid of Spirit Quartz. Hackmanite - an extremely high vibration while remaining connected to the Earth. Can help to combine higher intuition with mind/logic. Assists with reaching a deep, spiritual meditative state. It facilitates feelings of joy, freedom and happiness. Helps to embrace the self, enhancing self-esteem and feelings of self-worth. Use when working with issues of trust, be it self-trust or trust of others. Teaches to stay true to self, to stand up for what you believe without fear of judgment, guilt or criticism. Helps to calm the mind, release ridged thinking and open up to new possibilities. Is wonderful healing tool. Balances heart and throat chakras. 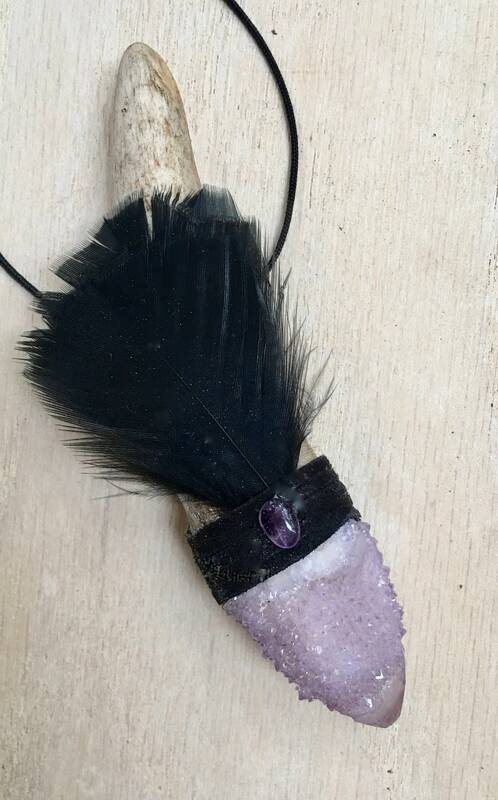 3.75 inches long; Amethyst Spirit Quartz 1.25 inches.